I’m calling in a good samaritan request! Reader Javier picked up Club Nintendo, the official Nintendo magazine for Latin America. 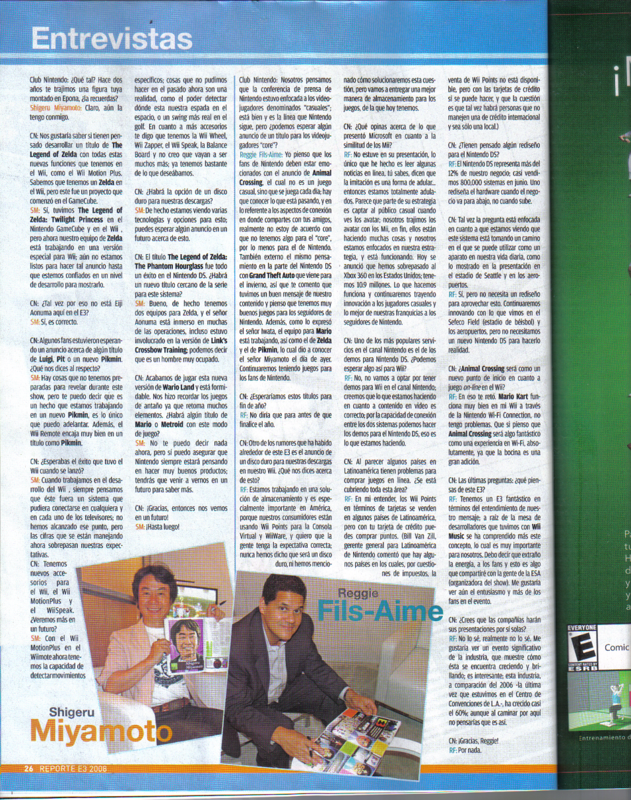 Inside, there was an interview that featured both Reggie and Miyamoto. One problem…the interview is in Spanish! Anyone fluent in Spanish want to have a crack at the article, and see if there’s anything worth mentioning?